Gee! Sometimes it’s hard to write when you don’t have an inspiration. When it comes to breaking the creative block in visual arts, I’m a master, because Photoshop brushes do just that (among other stuff). However, when it comes to breaking a creative block in writing – I’m clueless. http://www.greenbulbgang.com/ezine/november2015/ and get this month’s free stuff (direct download links). If you want to get access to GBG free stuff library and get hundreds of Photoshop brushes, vectors, textures, backgrounds, etc., head on to http://www.greenbulbgang.com and become a GBG member for free. (You may, of course, go for Gold or Platinum membership to get thousands of high resolution designers helpers). 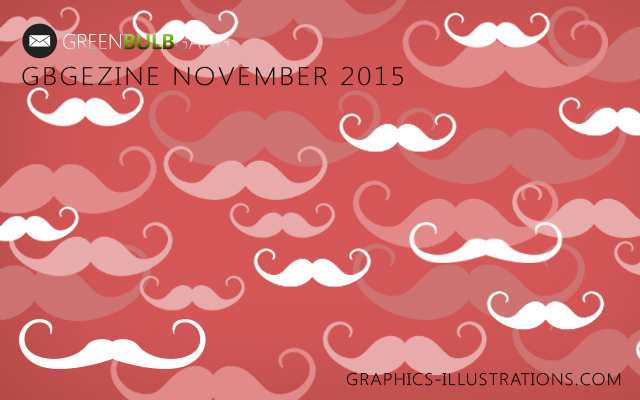 Anyways, this month for eZine, I created Photoshop brushes – Mustaches to honor our few good men since November became, kind of, their month. 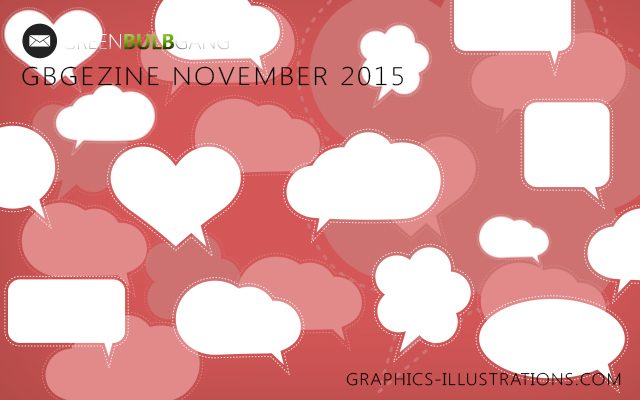 I also created some Photoshop brushes – Speech bubbles, so I hope you will find those useful for your commercial and non-commercial design/scrapbooking projects. As always, eZine comes with some cool offers from our friends at InkyDeals as well. Well, that’s about it for this blog post! Keep calm, stay safe and, as always – have fun creating!